Physical premiums are rising. The spot premium in Shanghai <SMM-CUYP-CN> is $117.50 over the LME cash price. The last time it was above $100 was also in 2016. Producers such as Chile's Codelco and Germany's Aurubis have announced hefty hikes in premiums to $98 and $96 respectively for European shipments next year. The steady fall in headline exchange stocks has masked two underlying trends – the increasing amount of visible inventory in the United States and the sharp erosion of tonnage in Asia. LME stocks, meanwhile, are highly concentrated in just two U.S. locations – New Orleans and Chicago. Between them they account for 71 percent of the 164,175-tonne total. The amount of copper in the LME's Asian locations, by contrast, is only 21,025 tonnes, or an even more negligible 7,175 tonnes excluding the metal earmarked for physical load-out. Not at the mine stage of production, but rather at the smelter stage. This has caused significant shifts in the region's refined metal balance. Vedanta Resources' Tuticorin smelter hasn't operated since March. Environmental protests turned violent in May and the local government has ordered a permanent closure. Vedanta was supplying around one third of India's demand for refined copper, according to its website. The country's resulting extra appetite for imports, however, has coincided with lower run rates at another key Asian supplier. Glencore's Pasar smelter in the Philippines is undergoing repairs to its acid plant after a typhoon hit at the start of the year. Production was already down 13 percent year-on-year in the first six months. Add China's own accelerated import activity to the mix and the rush to grab copper stocks in the Asian region starts to make sense. China's new restrictions on the purity of copper scrap imports have caused a drop in the flow of material from the rest of the world. The country accounted for almost half the world's "secondary" refined production in 2017, according to the International Copper Study Group. Scrap, in other words, feeds back into the refined metal balance very fast in China and this "scrap effect" is adding to the broader squeeze on availability in the region. 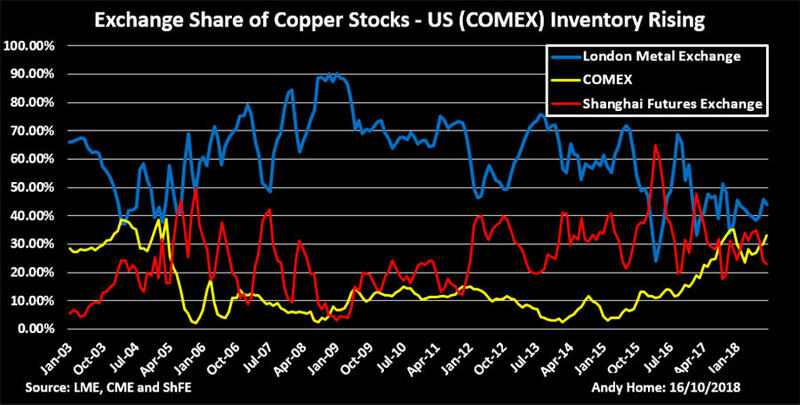 The copper market doesn't talk a lot about copper smelters. 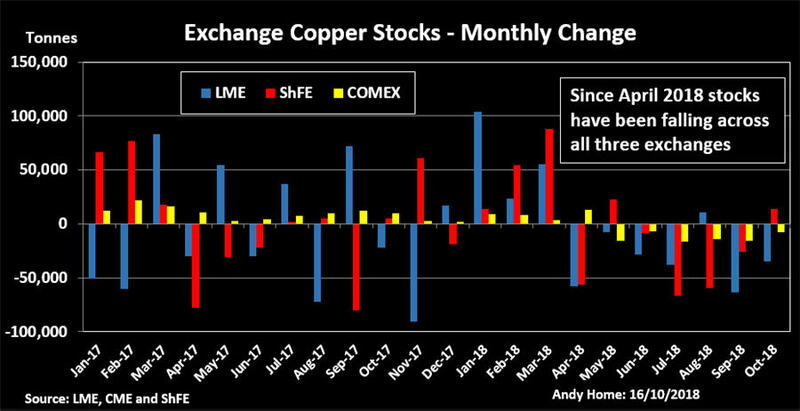 The supply narrative is always a mining one because how much comes out of the ground is still the key determinant of price, especially in copper with its long history of mine supply under-performance. If smelters don't operate, on the other hand, the raw material will simply be refined somewhere else, ultimately not affecting the production-usage calculation. Codelco has said it will close its Chuquicamata and Salvador smelters from Dec. 13 for 75 and 45 days respectively as it rushes to upgrade controls to meet new environmental laws. However, as Barclays Research notes, "the Chuquicamata smelter processes complex copper ores that are high in deleterious elements, which not all smelters are able to treat." (LME Week Review," Oct. 12, 2018). A possible consequence, it adds, is "that the copper cathode tightens further, even in the face of reasonable overall mine supply growth." No-one is believing them. The country imported 1.6 million tonnes of contained copper in scrap last year, according to research house CRU. It's simply too big a gap to fill without causing mayhem in the refined metal part of the supply chain. 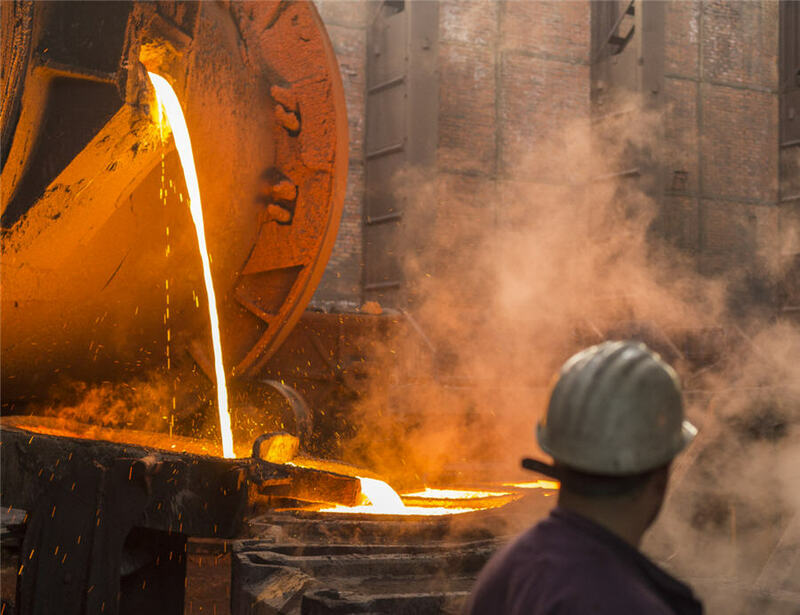 But Beijing's direction of travel is clear and ever tighter controls on scrap imports will keep suppressing volumes with a knock-on effect for Asia's refined copper balance.